Universal Pictures and Legendary Pictures has released a new Seventh Son international trailer. The plot follows mystical knight Father Gregory (Jeff Bridges) and his apprentice Tom Ward (Ben Barnes) and their fight to defeat the evil witch, Mother Malkin (Julianne Moore) and her followers. Even though this movie has been on the shelf for a while, I still hope it’s good. The problem is that you have a trailer that basically screams: Fantasy Tropes: The Movie! 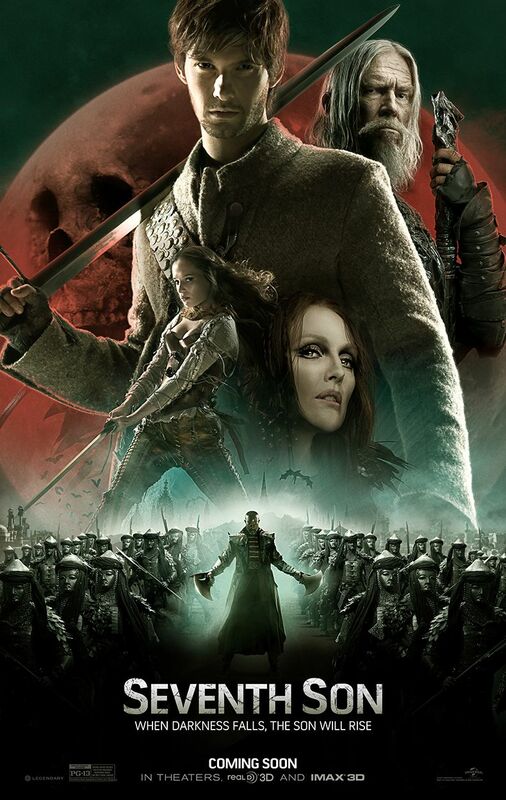 Hit the jump to check out the Seventh Son international trailer. The film opens February 6, 2015, and also stars Alicia Vikander, Kit Harington, Olivia Williams, Antje Traue, and Djimon Hounsou. Via Universal and Legendary Pictures.